It is a two-sided coin when the work load is too much for one person to handle. Reassuring to have so much work on the horizon, but too much work for one person to manage can feel oppressive. At Covered, that one person is generally, me. A one woman/man workroom is a common theme, according to the Transparency Initiative recently created by Jeanelle Dech and Vita Vygovska. For me, the workload began to feel like a drag working against productivity and profitability, and the calendar looked deeper into the year than most wish to wait. Next logical step: hire. At first, it seemed simple: find the right person, pay them well. At the mention of hiring, advice began pouring in. The overwhelming themes: liability and taxes. So, I made a few appointments with the pros who know: my lawyer, accountant, and insurance rep. Here are my takeaways – key words are ‘MY takeaways’. This is not meant to be legal advice for your business, just sharing my process in order to highlight where to look for guidance. – Liability is a pretty big deal if anyone happens to be injured in the workroom. An umbrella policy in addition to my homeowner’s policy is a good start to protect myself. My insurance rep set this up. Added protection against liability for me to consider is to become an LLC. My lawyer can set this up. This protects my personal assets (home, IRA, savings, investments, etc.) if an accident happens in my workroom. An investment worth considering. My accountant says this option is like wearing a belt and suspenders. Independent Contractor v. Employee – investigate, tread lightly. My candidate did not wish to manage her own tax withholdings, so I am choosing to hire her as an employee. Which comes with a bit of paperwork and understanding of withholdings. Top of the list is workers' compensation. Daunting, but my accountant was able to set me up with a payroll company who will manage all of the paperwork and filings involved with hiring 1-2 employees. This will cost me, but it is worth the investment to cover bases. The bottom line for me is that I am not able to keep up with the workload alone without a deep wait list. Hiring someone to manage prep tasks alone has increased productivity, reduced stress, and expanded my business savvy. The process became much easier when I sought the advice of a lawyer, accountant, and insurance rep. I trust those who make it their business to know. Then I go with my gut. Wish me luck, and luck to all of you who are considering this path. Happy hiring! How was Covered established? Well, it started with a vision, drive, and passion. Great. But then what? Where does one learn the skills in a trade that seems (seams) to be dwindling, comparatively speaking? For me, it started with approaching a pro (by accident). He took me into his shop, showed me the ropes, and encouraged me to reach. And that’s what it takes. Reach. But reach where? There are plenty of free You Tube ‘tutorials’, books that may or may not be current, and, well, let’s be honest, there is a distinct difference between hobby and trade. For anyone interested in professional fabrication techniques and tips for running an efficient and profitable workroom, the Custom Workroom Conference is coming this fall! A gathering of industry professionals for the fabrication of all things soft furnishings, from slipcovers and upholstery, to pillows and curtains, the CWC offers several short courses, an industry marketplace, and camaraderie. You will find leading industry experts such as Jeanelle Dech of The Workroom Channel, Home Dec Gal of Workroom Tech, Grant Trick (yes, THE Grant Trick!) of Design Industry , Cynthia Bleskachek of The Funky Little Chair, Nancy Letts of Pinehouse Drapery, Ceil DiGuglielmo of Sew Much More, Michelle Williams of Scarlett Thread Consulting, several more….and ME! I am so very honored to join this all-star league of instructors. 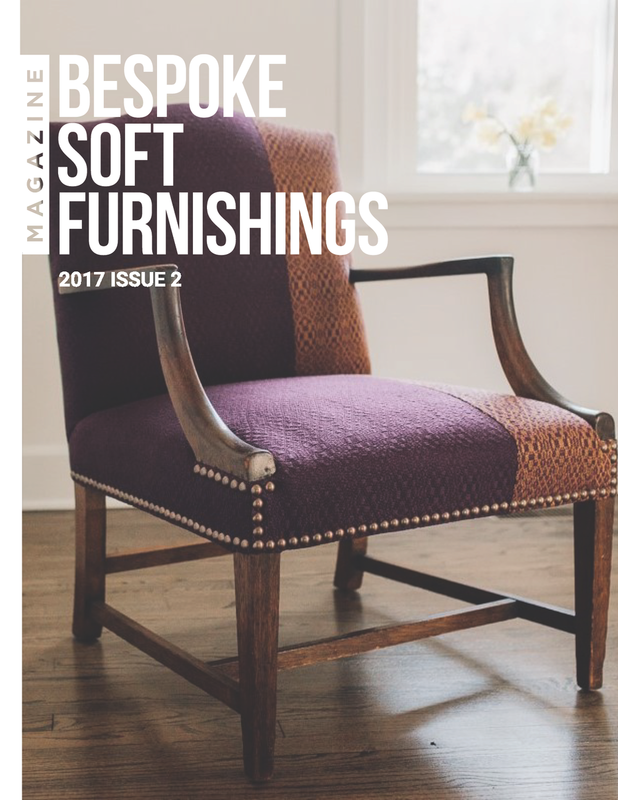 I will be presenting a short course in traditional upholstery techniques. So, if you are searching for a place to start your upholstery, slipcover, or drapery workroom, learn a new fabrication technique, review the latest tools and machines, mark your calendars and plan your trip to Spartanburg, South Carolina to join me and so (sew) many others at the CWC in October. Until then, happy stitching, keep learning! Color evokes a vibe, emotion, energy. This year's featured color announced by Pantone definitely contains energy, like that of the galaxy. 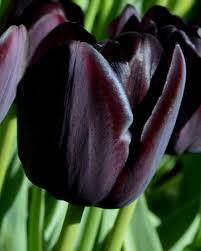 It is said that violet stimulates imagination, individuality, and spirituality. That certainly rings true for this shade of Ultraviolet. With endless color that surrounds us, each can be appreciated. 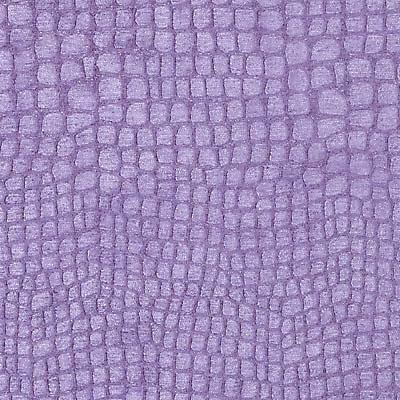 It seems that Pantone simply sets the stage for a color that may have been overlooked for others in the current trend. 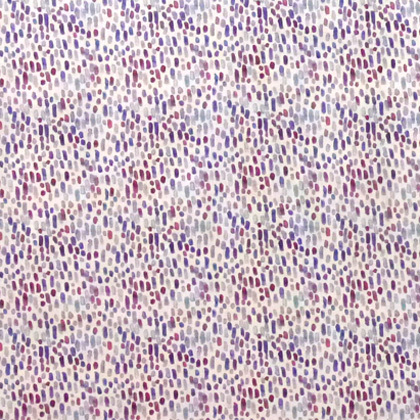 Here are a few selections that bring Pantone's color of the year to the forefront in textile design. From this galaxy, and beyond, I look forward to spotting this shade in its natural settings everyday! 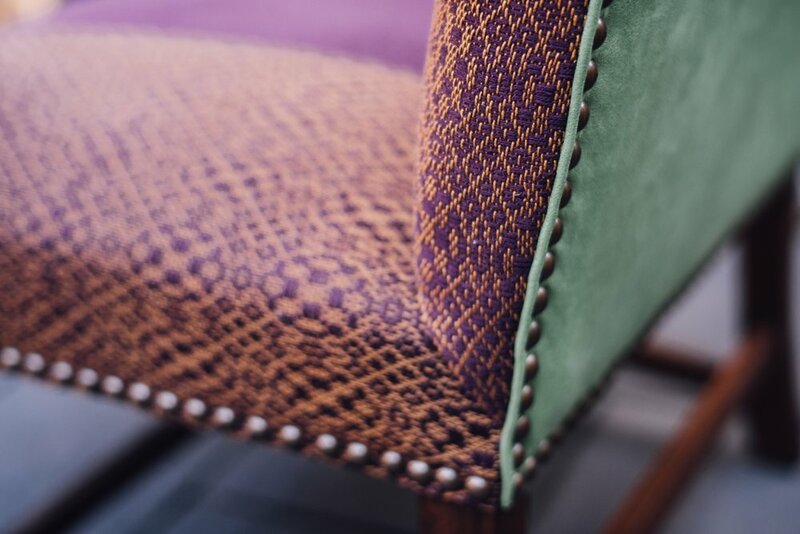 Enjoy these beauties featuring show-stopper ultraviolet from a few of the frontrunners in upholstery textile selections. 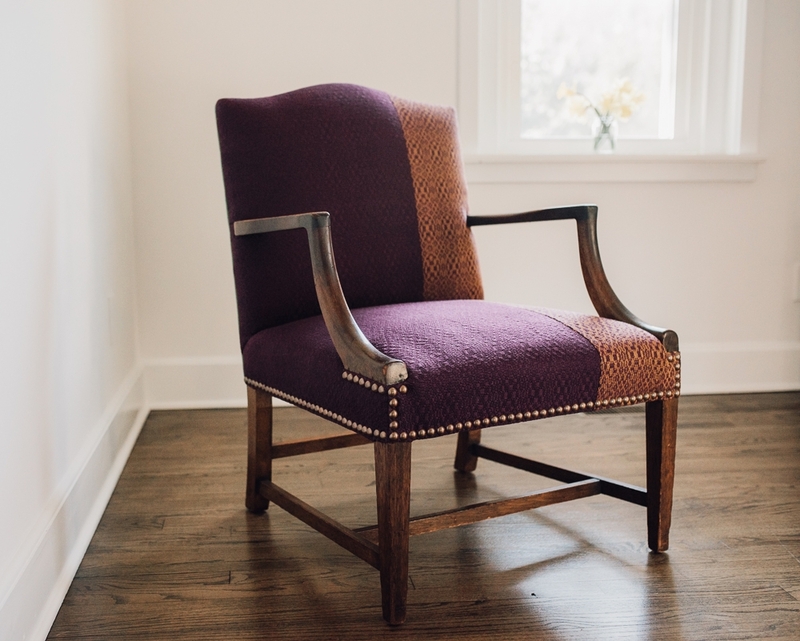 Two years ago, having been struck by a lightning bolt of inspiration when I ran across Annie McCreary's of My Swallow's Nest craftswomanship in Country Living Magazine, I set out to change my path and Covered Upholstery and Slipcovers was established. At that time, I was a full-time, independent speech-language pathologist, with a longing for a workroom of my own, to create custom slipcovers. So, I set aside one day per week to set my compass toward developing a workroom of my own. About a month later, I met my upholstery mentor, Rich Turkington, master upholsterer of 40 years and one of the coolest people I know. Rich took me under his upholstery wing and taught (still teaches!) 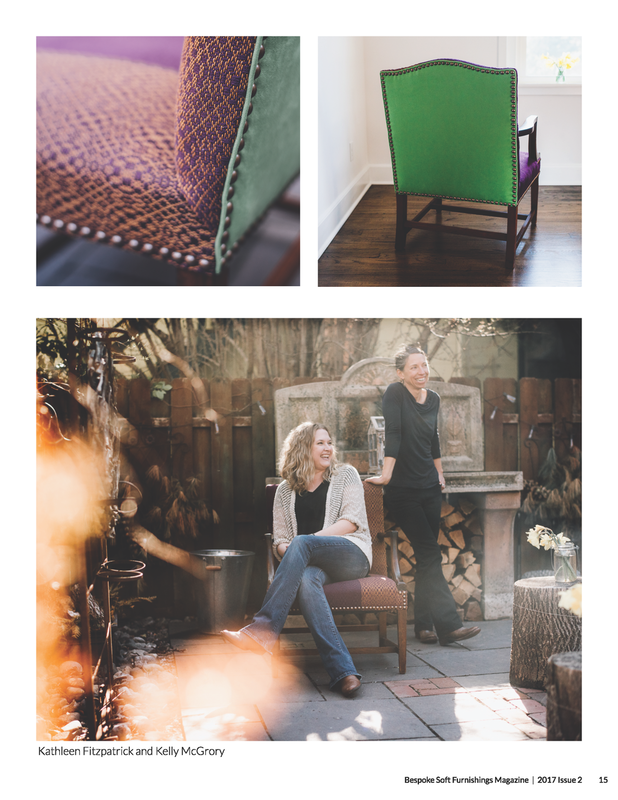 me the craft of both traditional and mixed modern upholstery. Soon after, I met my slipcover mentor, industry business maven, and dear friend, Jeanelle Dech of The Workroom Channel. Jeanelle rocket-launched me on a fast track to a successful venture with tools, instruction, and encouragement I hope to pass along to the next. Though Covered is a sole-proprietorship, cottage industry, there are so many other entrepreneurs and experts who have helped me in ways I am so grateful for. While some I have yet to meet, others I have the pleasure of speaking with or working with locally. While the determination and grit are my own, so many have inspired me with trade methods, process, shared mistakes, encouragement and sounding boards. The Upholsterer's Friendly Forum, and Kim's Upholstery have offered feedback and support through online venues that I use regularly. Thank you, for all of your guidance, it means more than you know! The best is yet to come! September is national sewing machine month, to celebrate the invention of the sewing machine in September 1846. In honor of this life-changing invention, I wanted to post a few shots of the machines we use most here at Covered. These machines are used (and loved!) daily. They stitch up all of the custom work that comes through the shop. The first is an industrial walking foot machine. A Consew, made in Japan over 40 years ago. This one was purchased refurbished from Keystone Sewing in Philadelphia. It is an all metal, gear and belt driven machine with a servo motor. It can stitch 5,000 stitches per minute, and manage up to about 3/4" of material under the foot. 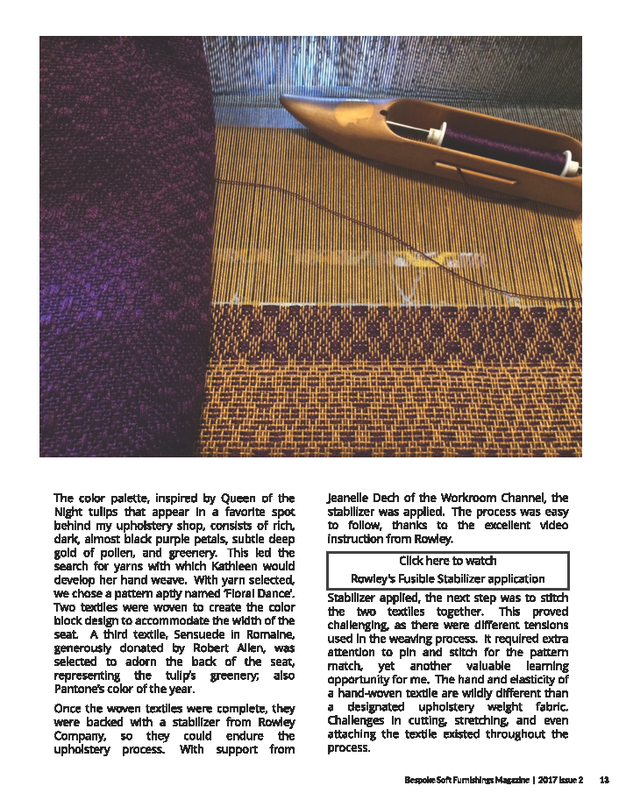 Both the needle and the foot "walk", which feeds the top and bottom fabrics along in tandem. This is important for thicker, upholstery weight fabrics. The second machine, a Juki overlock machine or serger, was a lucky find on Craigslist in mint condition. At Covered, it is used with a 3-thread, 1 needle set up to overlock all seams in slipcovers and cushions. This prevents unraveling and allows for laundering and While the threads are overlocking the seam, a blade trims the seam to a tidy edge. It is quiet and oh so fast. 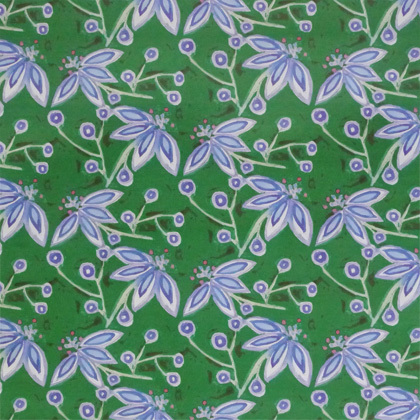 How lovely and so rich this textile is! 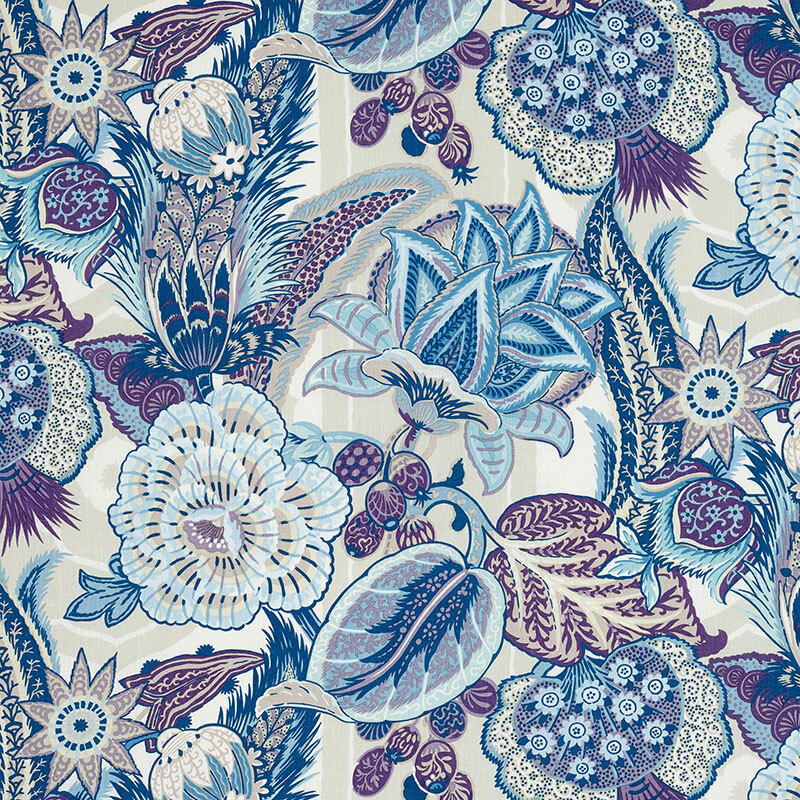 Woven at the hands of Kathleen Fitzpatrick of Tie Up Textiles, the pattern is aptly named 'Floral Dance'. 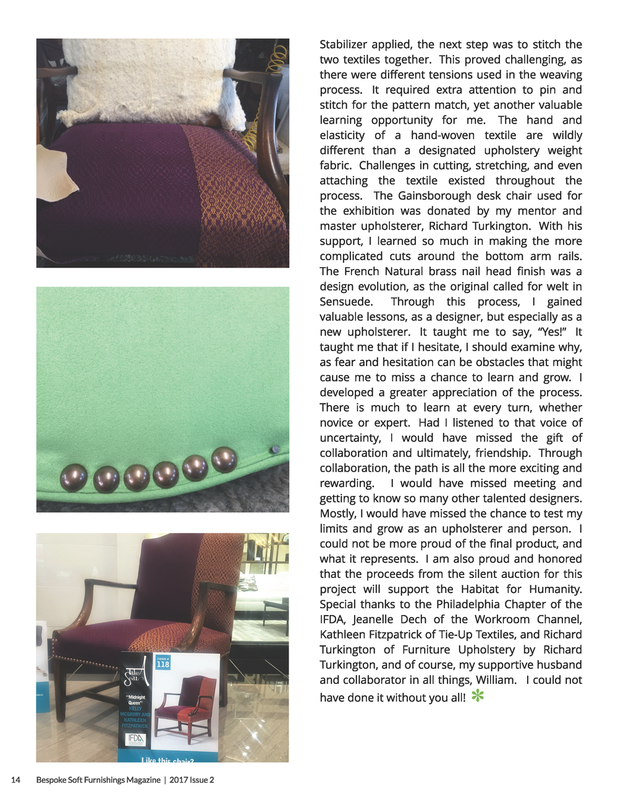 Soon to adorn a Martha Washington inspired chair, upholstered by us here at Covered, which will join 19 others on display at the King of Prussia mall before a silent auction to benefit Habitat for Humanity of Montgomery County, PA. Thank you to Philadelphia IFDA for hosting and organizing this event. 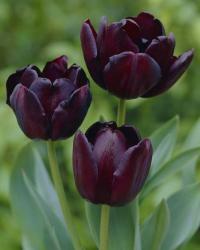 Yes, these darlings begin to surface in February, and are now in full bloom. Galanthus, commonly and aptly called snowdrops, promise that while winter continues to adorn us, spring truly is just around the corner. 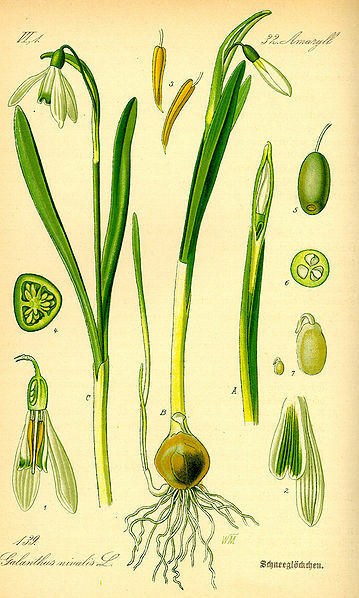 The trace of green under the bloom, or 'drop', resembles a tiny heart, all the more sweet. Originally hailing from Europe, these are growing just behind the upholstery shop here at Covered, drawing us out of doors each day for a look, and some sunshine. Nature’s design proves that intricacy and simplicity partner well. Visited the beloved Quaker Jobbing Company in Kensington district of industrial Philadelphia this week. 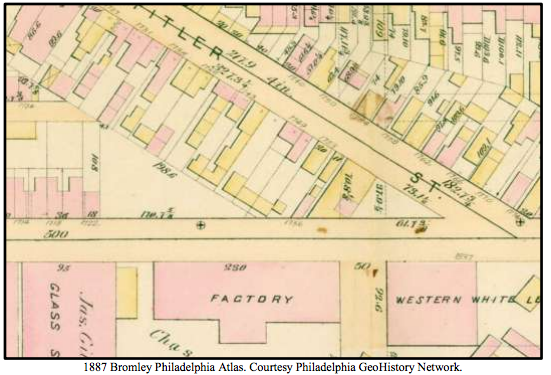 Steeped in the rich, textured history of the Philadelphia textile industry, Quaker Jobbing Company comprehensively sources tools and materials to the upholstery trade. 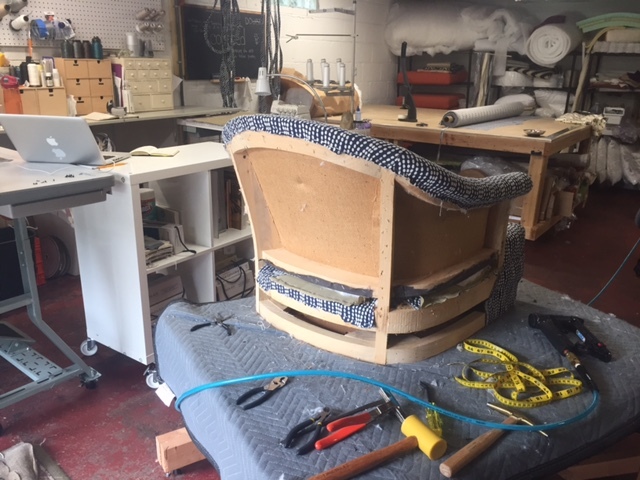 As my mentor and dear friend Rich Turkington says (himself a master upholsterer of 40 years), "If Quaker Jobbing Company doesn't sell it, I don't need it." Commanding attention from North Hancock Street, the building was erected in 1889 on the heels of the Industrial Revolution. 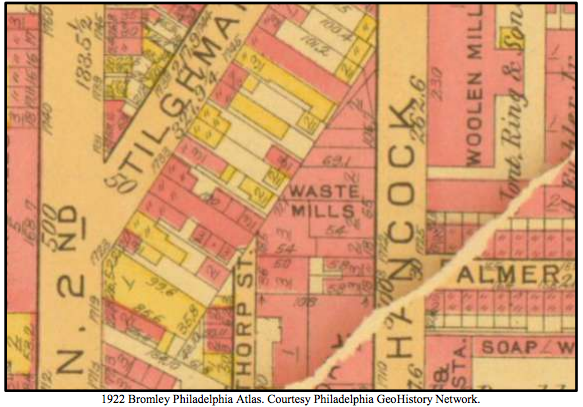 The building originally housed a waste and shoddy company, specializing in the reuse of woolen waste in the form of rags and tailors clippings by shredding and creating yarn. This recycled yarn was mixed with new wool to create shoddy, a recycled textile of the day. 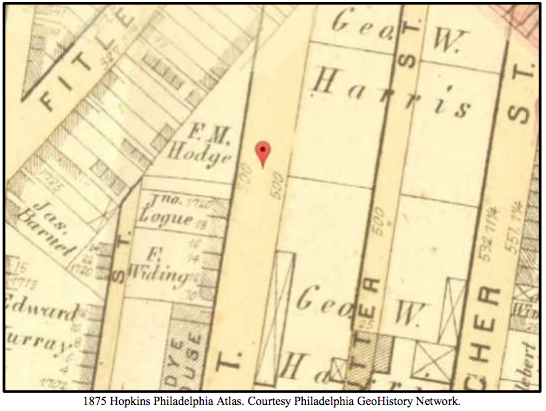 A full history of the architecture and use of the building can be found here. Today, the building is home to Quaker Jobbing Company. 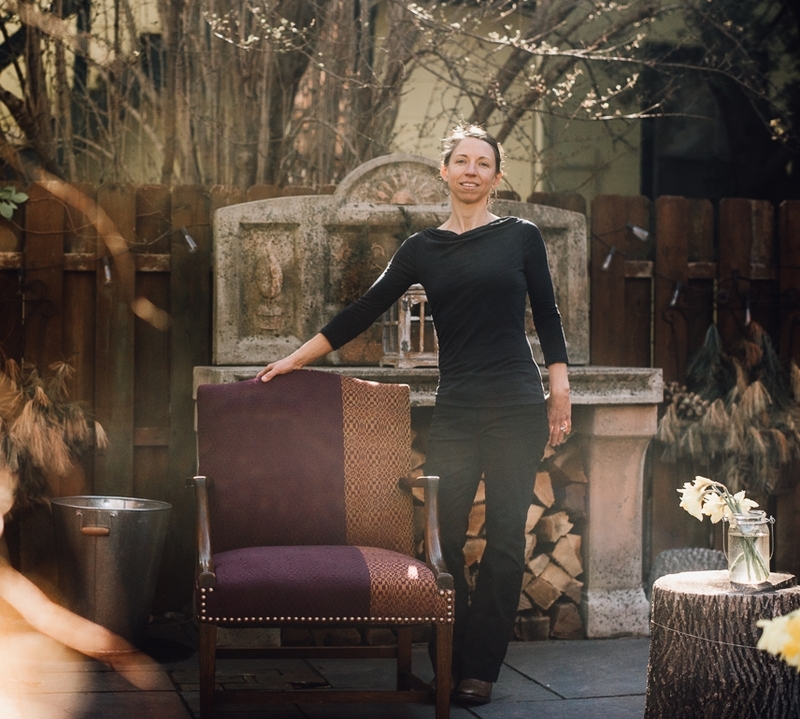 Leona Tucci, owner of Quaker Jobbing Company is undoubtably, a bona fide upholstery maven. 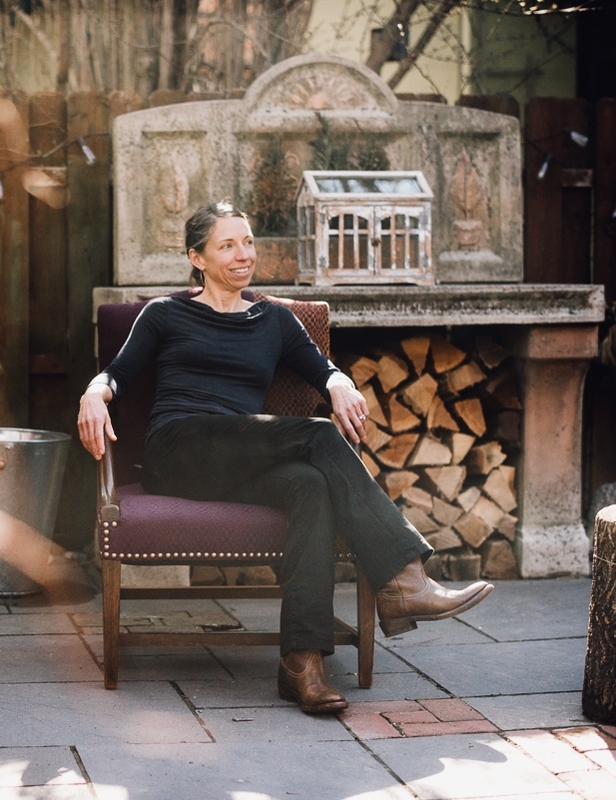 Leona matter-of-factly guides a novice or expert in the quest for material or method, no matter the task. It is a great pleasure, honor, and opportunity to step back in textile time to do business with Leona and The Quaker Jobbing Company. With gratitude and thanks for your support and guidance, look forward to coming back again and again. 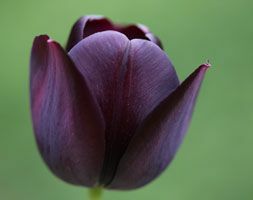 Inspired by the Queen of the Night tulips that promise to appear this spring, this saturated rich plum will make an appearance on the seat, upholstered by us here at Covered. Greenery to appear alongside, naturally. The hunt begins for the rich yarns for the loom, care of Kathleen Fitzpatrick at Tie Up Textiles. 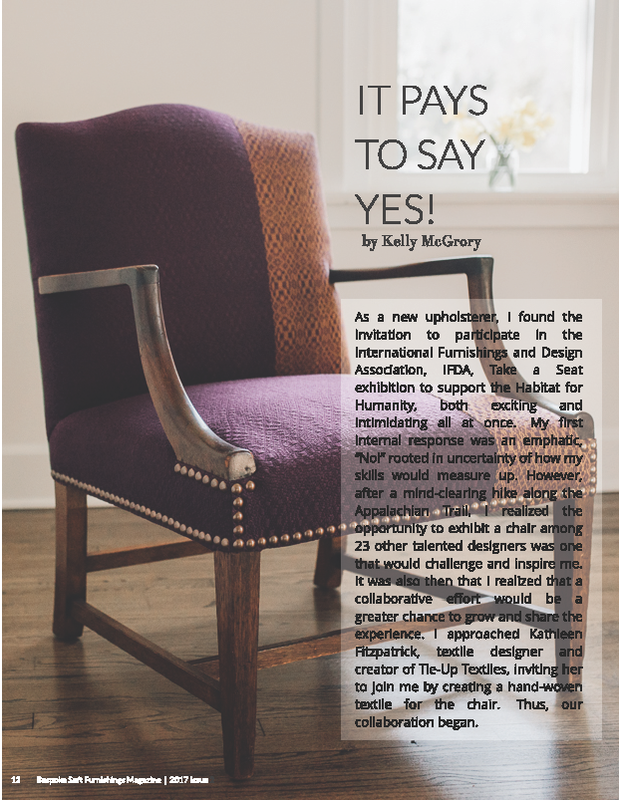 The Take a Seat exhibition is sponsored by IFDA and benefits the Montgomery County Habitat for Humanity. The Path to Positive - Covered is starting 2017 as a Cradle to Cradle Catalyst! Cradle to Cradle is a nonprofit organization, dedicated to a new industrial revolution through Green Chemistry initiatives, environmental consciousness, and sustainability efforts, resulting in eco-intelligent designs. Our goal at Covered is to develop a deeper understanding and appreciation for these processes, source Cradle to Cradle recognized products and support companies that employ these standards to create the materials we incorporate into our finished pieces. The Cradle to Cradle stamp of approval assures that the material is safer for your home, and the planet we share. Read more about Cradle to Cradle’s philosophy’s and standards here. If interested in becoming a Cradle to Cradle catalyst, you can start your journey here. We hope you are as encouraged and inspired as we are! Spotted this beauty while hiking on the Appalachian Trail in the Central District of the Shenandoah National Park. Greenery at its finest and softest, striking a pose on the western side of the mountain. 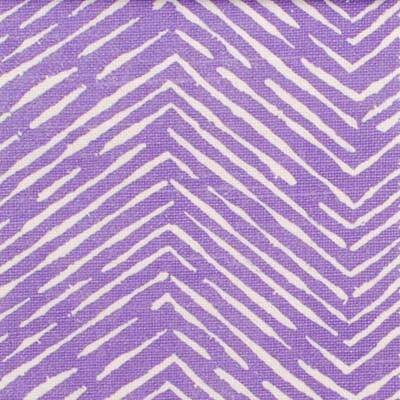 It pairs beautifully with Stout's multipurpose cotton print, Chockful Dill, suitable for lightweight upholstery. We see it adorning pillows. 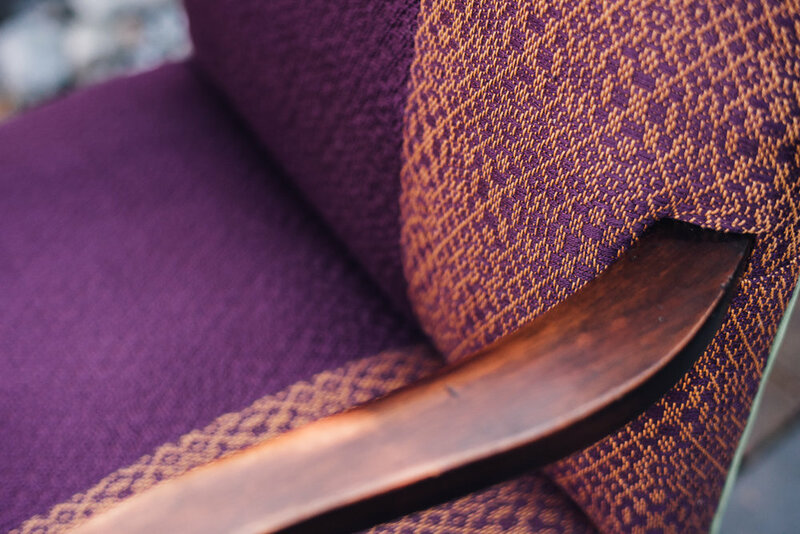 Covered is partnering with Tie Up Textiles to design and Cover a reclaimed chair for the annual IFDA "Take a Seat Exhibition". Proceeds from the silent auction benefit the The Montgomery County Habitat for Humanity. Stay tuned for photos of inspiration and progress. Contact us at Covered to see how we can transform your indoor or outdoor space by reconnecting your furniture to nature, with Greenery or any textile that moves you.